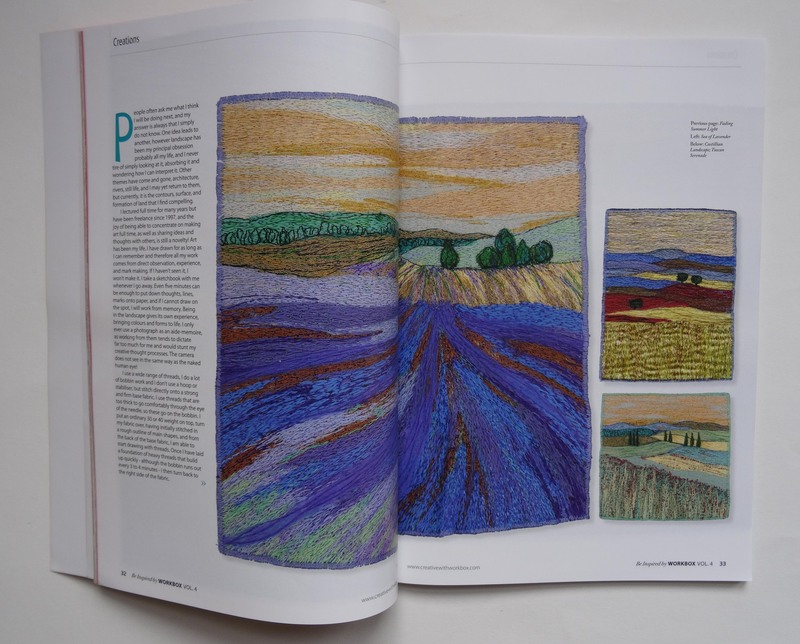 Delighted to see my article called Sew’Scapes so beautifully produced in the Annual Be Inspired by Workbox magazine vol 4 now published. This magazine has really developed into a super read, with beautiful images well printed and displayed in all the articles. 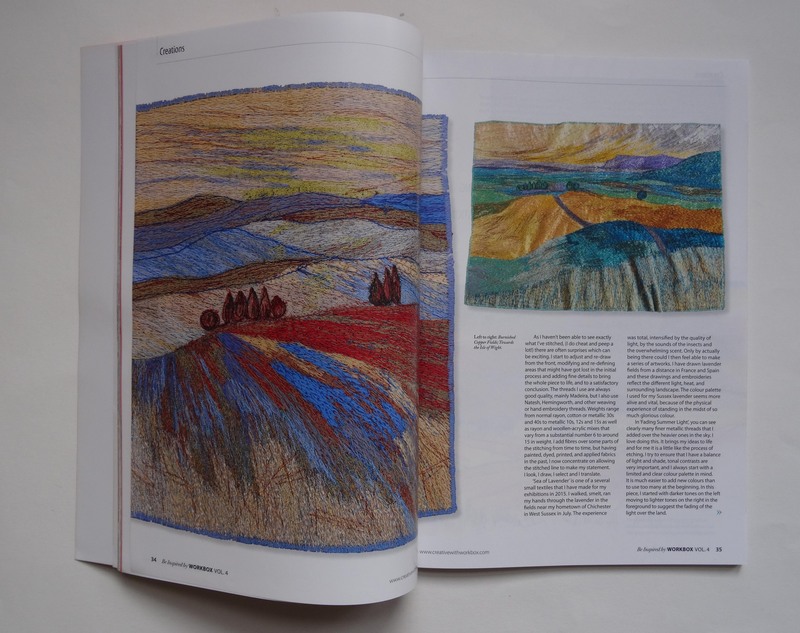 Having an 8 page spread is a real treat– Other artists who are featured include Michelle Cook, another UK textile artist who looks at the land in a very different way to me. Bethany Walker mixes cement with stitch, wonderfully different, and other artists working in the Netherlands, Australia and Kenya have stunning work to look at as well. It’s good to see conceptual pieces alongside delicate botanical images and I feel honoured to be in such good company.